Located in the heart of the Skagit Valley near the mouth of the Skagit River, Hedlin Farms is a 3rd and 4th Generation farm growing Organic and conventional produce on about 500 acres just outside the town of La Conner. We have been farming here since our (great) grandfather, Rasmus Koudal, came over from Denmark in 1906. When he reached the Skagit Valley it looked enough like Denmark to call home, so he stayed, and here we are. Dave Hedlin & Serena Campbell took up farming on the family land in 1974, growing fresh market cauliflower and broccoli, peas, pickling cucumbers, and beet, spinach, & cabbage seed. 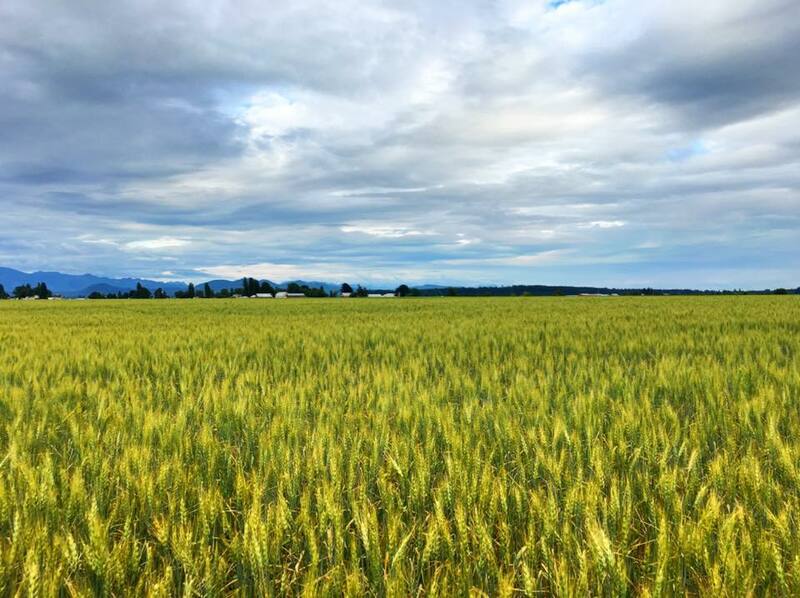 The Skagit Valley is particularly well suited to seed production as the mild winters, and warm, dry summers provide ideal conditions for plant vernalization during the winter and seed set during the summer. Because of these ideal conditions and the wealth of expertise in the family and in the valley, seed crops have been the constant thread on our farm over the last hundred years. Today we grow about forty different crops, including more than 100 varieties. Today we produce about 40 crops of more than 100 different varieties for our La Conner farm stand, farmers markets, local restaurants, and wholesale buyers including: cauliflower, cabbage, lettuce, snap peas, heirloom, cherry, and beefsteak tomatoes, beans, beets, blueberries, broccoli, carrots, cucumbers, pumpkins, onions, squash, strawberries, sweet corn, and swiss chard, to name just a few. Farming in the Skagit has changed a great deal over the last forty years, to say nothing of the last hundred, so while our crops and acreage have varied, just like our (grand)father, we’re still growing beet, spinach, and cabbage seed, fresh market cauliflower, and peas. We look forward to growing great food for you in the next hundred years!